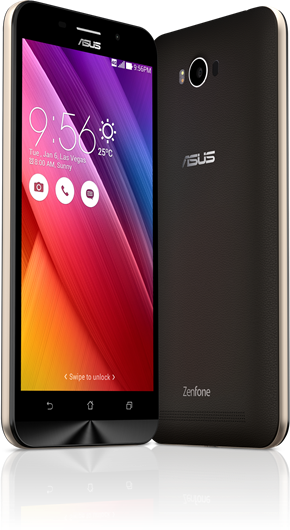 Earlier today, ASUS has announced their newest phones at ZenFestival in New Delhi. Among the bunch was one particular standout – the ZenFone Max. The new ZenFone Max (ZC550KL) might not win any awards for being the thinnest or being the fastest, but it does boast one awesome feature – its incredibly-long-lasting high-capacity 5000mAh lithium-polymer battery. In comparison, most higher-end smartphones now pack 3,000-3,300 mAh battery. The ZenFone Max has a 5.5-inch IPS display with wide viewing angles with Corning Gorilla Glass 4. 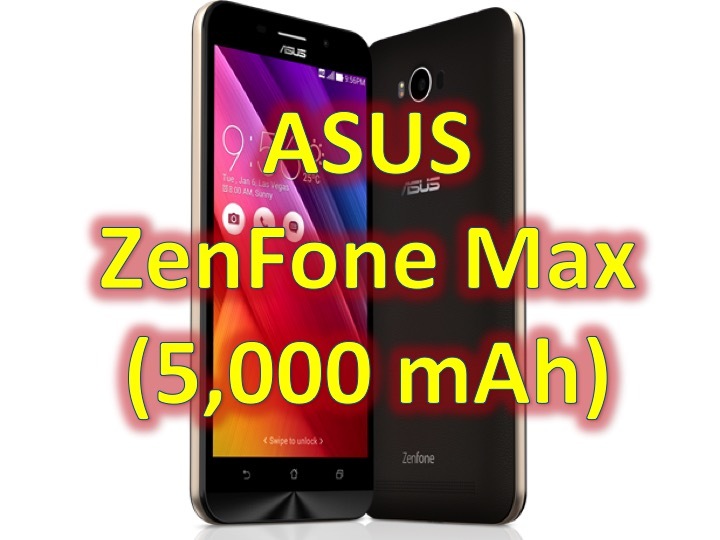 ZenFone Max has a 64-bit Qualcomm Snapdragon 410 processor with up to 2GB of RAM. On the camera angles – it features a 13MP/5MP PixelMaster cameras with a wide f/2.0 aperture, and the rear camera also has a laser auto-focus for sharp, near-instant shots. Price and release date have not been announced at this time.